Daniel Cohen's The Chef is a lighthearted romp through the world of French cuisine and stars Michaël Youn alongside the one and only Jean Reno. The accomplished director has cooked up a dish of a movie that has had audiences asking for seconds by serving them equally healthy portions of belly laugh inducing comedy and heart warming drama. 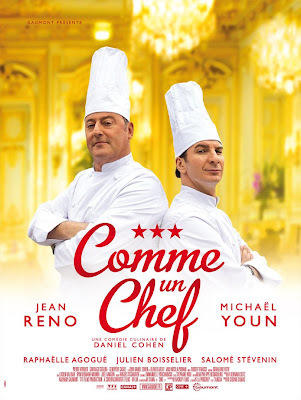 Jacky Bonnot (Youn) has always dreamed of becoming a master chef, but instead is doing what he can to find any available job so he can hold together his family. 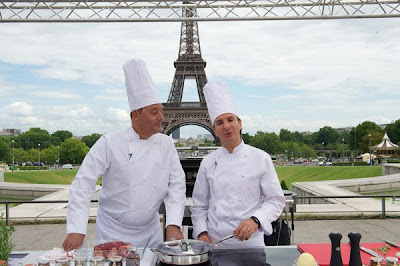 Alexandre Lagarde (Reno) is a master chef who has run a three star restaurant's kitchen successfully for many years, but is now faced with the possibility of being replaced by a younger chef who is an expert in the trendy molecular gastronomy style of cooking. When Alexandre stumbles upon Jacky's cooking in a retirement home of all places, he hires the would be chef to be his assistant in a last ditch attempt to save his restaurant and his own career. This sets the two on a path that will change both of their lives forever, but only if they manage to survive each other's differing styles and attitudes towards their craft. 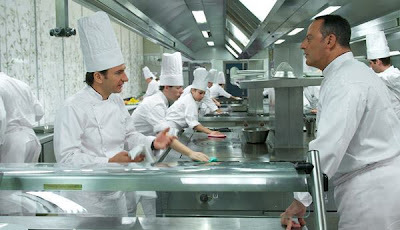 The Chef is one of those movies that you instantly fall in love with as it has no shortage of likable characters, great acting performances, a heart warming story, and some truly hilarious moments. Youn and Reno make a great team in front of the camera and you can tell they had just as much fun making the movie as you did watching it. Meanwhile, Mr. Cohen manages to throw all the right ingredients in to making this theatrical exhibition of culinary comedy. Screened as a special presentation during the Seattle International Film Festival, The Chef quickly became an audience favorite and I'm pretty sure everyone went straight to their favorite restaurant after having all of those delicious creations put on the screen in front of them. With a pair of great acting performances as the primary ingredients, this movie is more than good enough to keep everyone wanting to come back for a second helping. 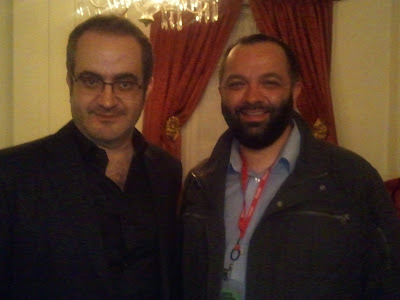 This is a picture of me with director Daniel Cohen.